Our next What’s Hot in Real Estate Investing Webcast is on Tuesday, May 17th at 7PM ET with website designer and internet marketing expert, Jens Beatty, on his WordPress LeadTheme 2.0. Over the past two or three years, more and more real estate investors and other small businesses have began using WordPress because of it’s flexibility, ease of use and its ability to achieve great search engine rankings without a lot of technical know how. Because of this fast growing interest in WordPress, Jens has created a fantastic WordPress theme that focuses on something that most WordPress themes do not… generating leads. 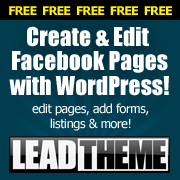 His free WordPress theme is called LeadTheme, it is totally free, and it was designed specifically to make it super quick and easy to get your website online and generating leads. Jens Beatty has been designing and building websites since the dawn of the internet. He has created a multitude of websites for all types of businesses over the years. He specializes in designing sites for high conversion and generating leads online. The majority of his work over the past 7 or more years has been focused on generating real estate leads. 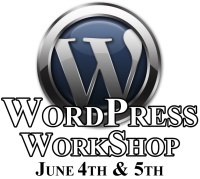 On Saturday and Sunday, June 4th & 5th starting at 10 AM, we are doing our first WordPress Website and Blogging Workshop. 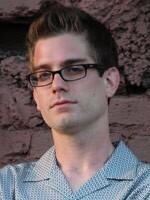 Dustin Griffin, along with special guest, website designer and internet marketing expert, Jens Beatty, will help you setup a WordPress Website and Blog in class from start to finish. You will also learn how to use your new WordPress Website and Blog to help manage and automate your Internet Marketing Strategy from any virtually any web-ready device such as a PC, notebook, netbook, iPad, Droid, Smart Phone, etc. Whether you run a real estate investing business or any type of other business, a WordPress Website and Blog will definitely help improve your credibility, marketing efforts, online presence and lead generation. The best news is, you don’t have to be a techie to use WordPress, but it doesn’t hurt either. We are teaching our Atlanta REIA members and guests how they too can be “High Tech Home Buyers & Sellers” and utilize modern technology to run their businesses more effectively online and offline. June 4th & 5th at 10AM – Attend Live or Online!